The best way to distribute your message to a huge targeted network. Instead of bringing the audience to your presentation, bring the presentation to your audience. Webcasts allow businesses to communicate their message to anyone from anywhere at any time, ultimately saving time and money. 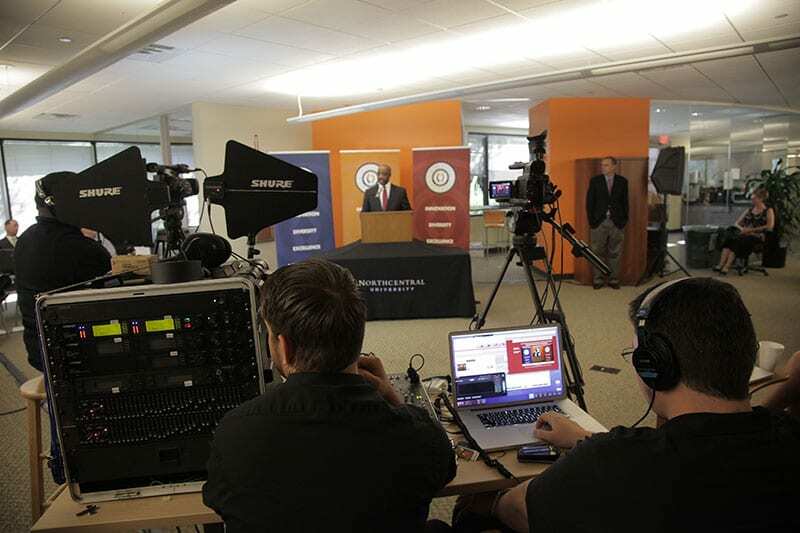 At Spectrum, we design, produce, and encode a variety of webcast packages that will fit your communication needs. And whether your audience is across town or across the globe, we can deliver your program for maximum impact on your target market. Captured, coded and compiled footage of speakers, PowerPoint slides, videos, images, etc. into a live stream. Utilization of a Content Distribution Network (CDN) to maximize bandwidth for more users and greater stability. Multiple screens, full screen playback and even a customized player. Real-time statistics on viewer activity that tell you who’s watching, where they’re watching, and on what device. Output to virtually all file types: DVD, .mov, .wmv, mobile devices and more. Turnkey staging and equipment packages that include everything you’ll need: cameras, switcher, projection, lighting, and sound. 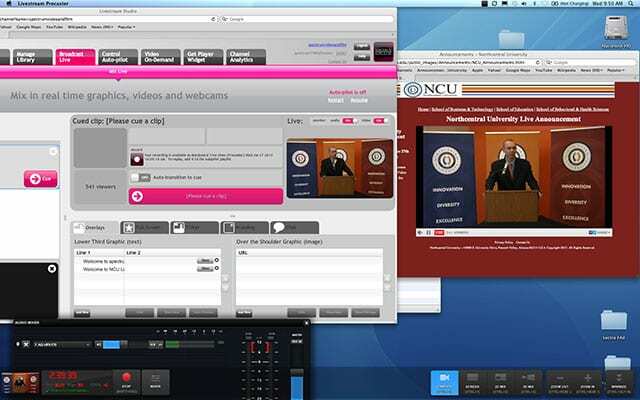 Broadcast anywhere – your office, event venue, our studio, etc. Manage costs and budget by keeping employees productive and bring the venue to them vs. bring an audience to the venue. Increase your audience by providing your message to the world. Speakers... PowerPoint slides... video... images... all captured, coded and compiled into a live stream for viewers across your industry and all over the world. Utilizes a Content Distribution Network (CDN) to maximize bandwidth for more users and greater stability. With options for multiple screens, full screen playback and even a customized player, your audience receives your message the way you want them to. During the event, you can see live reporting on viewer activity- realtime statistics that tell you who's watching, where they're watching, and on what device... from Mac to Windows, desktop to iPhone. And afterward, don't let that significant effort fade away. We offer output to virtually all filetypes: DVD, .mov, .wmv, mobile devices and more. Offer it as a web download later and maximize the value well beyond the close of the show. The technology we use ties directly into the staging and equipment at your venue. Or we can provide a turnkey package: cameras, switcher, projection, lighting, and sound.